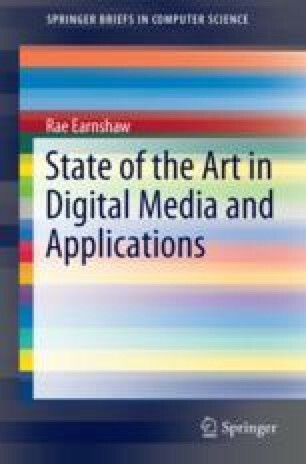 The use of digital media systems followed by progressive reliance on social media, appears to follow the law of sharing, an equivalent of Moore’s law in the context of social media, where the average amount of information shared doubles every year. This baseline helps businesses to develop, and accelerate, commercial and social applications, and define business information handling requirements. Business use of Web 2.0 technologies, often referred to as Enterprise 2.0, may be defined as an organization’s use of emergent social software platforms to pursue its goals. Enterprise 2.0 technologies offer business and governmental organizations the opportunity to improve their communications, processes, and ultimately performance. Creative industries are generally a collaborative activity involving many pathways and pipelines of delivery of their constituent parts. Therefore they depend on networking and connectivity between creators and distributors. The creative industries and digital media are also dominated by Small and Medium Enterprises (SMEs) and are heavily dependent on the networking of people and ideas. This combination also potentially provides additional value beyond traditional e-commerce activities due to the ability to form virtual customer environments. Other benefits include improved marketing and stronger customer relationships, and providing people and organizations with a platform to further pursue company objectives. However, the value in the use of social networking is not determined by the platforms themselves, but in how they are harnessed to create value for the organizations and participants. The risks and obstacles to organizational adoption and use of social networking and social media technologies need to be recognized. Principal concerns include sensitive or critical data appearing on a public-facing social network, data ownership, data protection, regulatory issues involving the cloud, and intellectual property. For Small and Medium Sized Enterprises (SMEs) the main challenges are in terms of the appropriate deployment of social media tools, and ensuring employees receive training in the responsible use of social media.